The basic recipe, consisting of eggs, sugar, flour and almonds, has been enriched with pure chocolate to enhance its taste. The “PAN DUCALE classico” is a dessert suitable for any occasion, pleasant to give but above all good to taste. For almost five hundred years the city of Atri was home to the Duchy of the D’Acquaviva family. In 1352, on arrival of the Duke to the city, the citizens of Atri offered him as a gift the almond pizza, a typical dessert of the Atrian tradition. The Duke liked the dessert cake so much that he ordered it to be present every day on his table, sending it as a gift to all the noble families with whom he had relations. The Atrians, proud of the recipe they prepared and happy to have immediately won the graces of the Duke, who had a reputation for being terrible, decided to change its name, from “Pizza of Almonds” in PAN DUCALE. 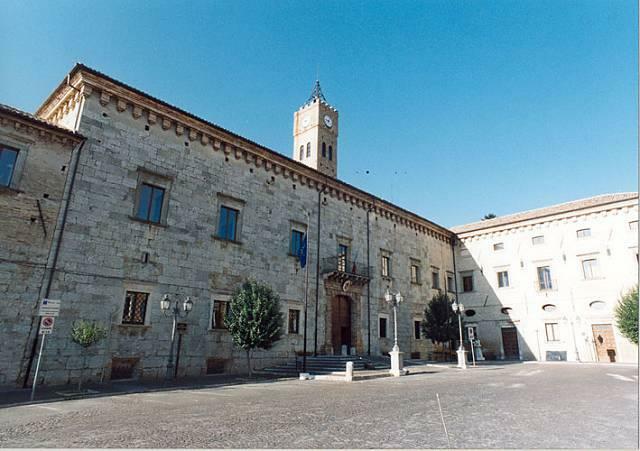 Tradition was maintained throughout the five hundred years of Acquaviva’s rule in the city of Atri. 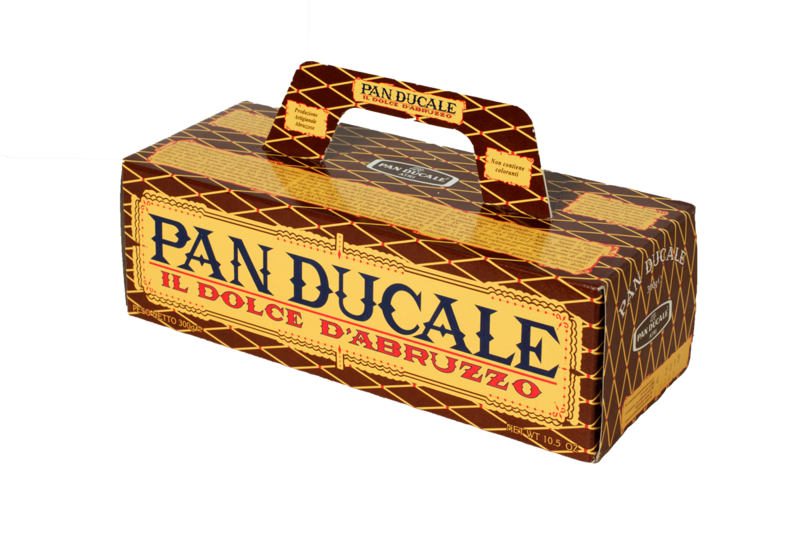 Even today, PAN DUCALE keeps intact the noble and at the same time popular character of a magical and delicious dessert cake. The original recipe of the 1300’s contained eggs, flour and almonds, so much so that the dessert was called almond pizza. In 1800, when chocolate was introduced to Europe, it was considered obligatory to add this precious ingredient in the preparation of a recipe that had to be rich and delicious.